Ever wonder how big-time bloggers rake in thousands of dollars each money from posting blog updates, outfit looks, Instagram pictures, tagging products, and creating tons of money-making content? Today I'm spilling the tea on how to make money blogging. And a look at blogging behind the scenes. Wouldn't it be crazy to make real money that can PAY your BILLS? That's exactly what I thought when I started to really take blogging seriously within the last two years. It takes a lot of time, effort, dedication, motivation, inspiration, and upfront costs to produce content that will earn you revenue in the long haul. 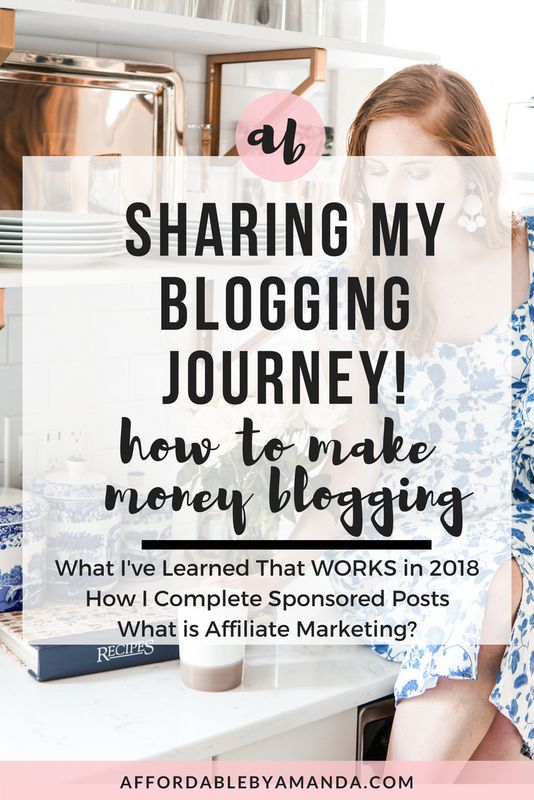 There are so many different ways I can earn my dollars $$$ as a fashion and lifestyle blogger living in Florida and traveling the country while working on the move. 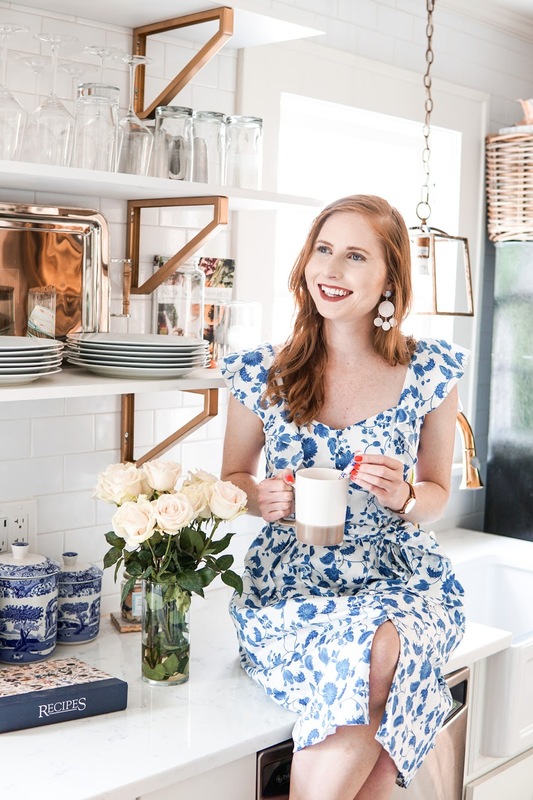 From scoring high-paying sponsored posts to working with the largest beauty and fashion brands in the country, it's a constant trial and error effort to excel in the blogging world. Read on to discover how I make money from blogging and what it takes to stay relevant in a constantly changing marketplace! It takes money to make money as a blogger! Don't believe the hype behind creating Instagram outfits that will immediately bring you back the money you spent on the top, jeans, shoes, purse, accessories to create the cutest outfit to ultimately make sales. Fashion bloggers need to be on top of the trendiest items to hit the market. A lot of these girls are constantly shopping online to see what looks good and then they will hunt down these pieces in the stores the next day. 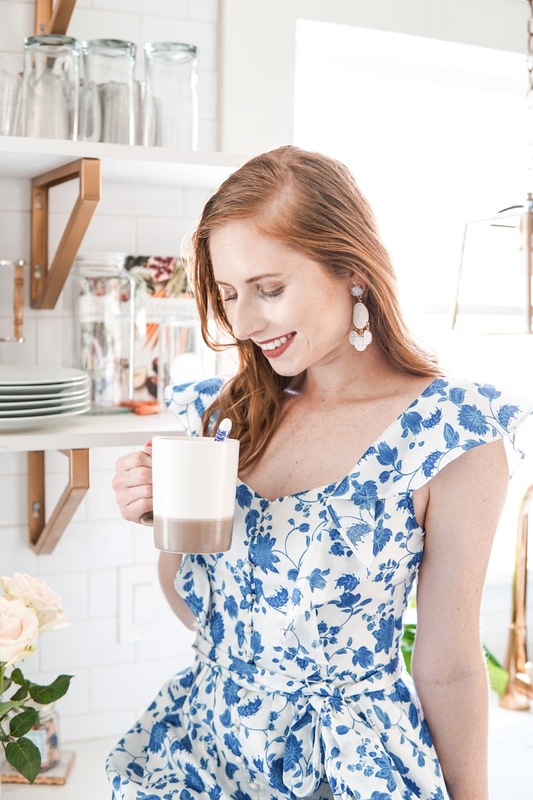 I usually find myself intrigued by a certain top from LOFT or J.Crew and then I'm interested in styling it my own way on my blog and Insta profile. However, TOP-SELLING bloggers are always the ones to get their hands on these pieces ASAP and they sell out FAST! That means the things I end up buying will go out of stock almost as soon as it arrives at my door. 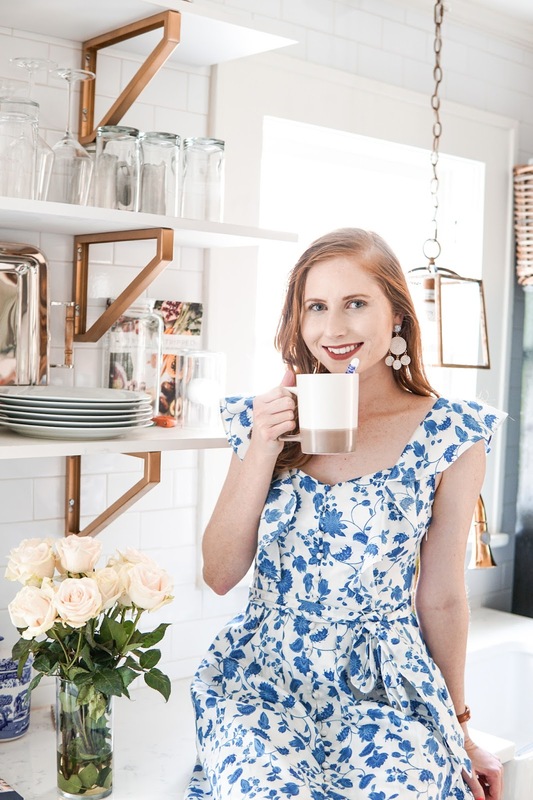 It's hard to keep up with the changing seasons, but as someone who aspires to be a full-time blogger, these are things I am struggling with on a daily basis. Buying your own clothes from major department stores is the first way to gain traction as a blogger that people are going to follow. 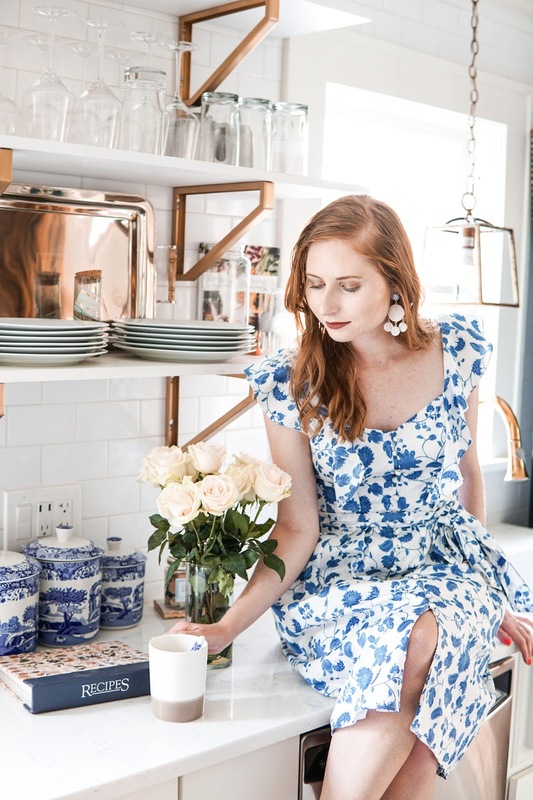 When I started to blog as Affordable by Amanda, I knew I wanted to keep the things I bought in line with my own individual fashion favorites. 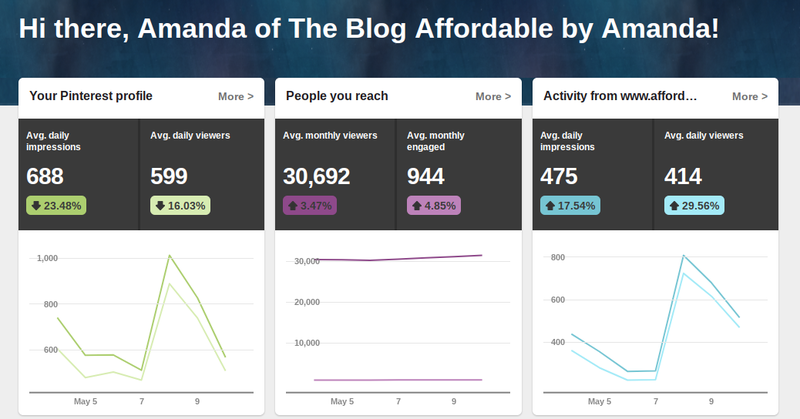 It's a great reason to start a blog in the first place -- to show women how they can achieve a trendy look on a budget. I'm constantly being inspired by designer pieces that I'll never actually purchase, but I've always enjoyed discovering less expensive versions. This act of sharing my less expensive alternative items became Affordable by Amanda and I quickly grew a following because of my affordable "niche". On the other side, sticking to my niche can be hard! There are some purses, such as the infamous Gucci crossbody bags, that continue to pop up on my feed...I sometimes feel compelled to go out and buy higher-end items because they will give me a higher return on commission, let's be honest! There are a few ways to make money blogging through certain web tools to link products. Commission-based programs, such as ShopStyle or rewardStyle are monetizing companies that work with brands and influencers. ShopStyle is a free tool that I love to use to link my outfit posts and I have used ShopStyle since the start of Affordable by Amanda. You can use it to search for the products you want to tell other people about, copy the link, and insert that link into the appropriate hyperlink section. rewardStyle is an invitation-only monetization platform. Although a lot of popular bloggers use this site to earn a majority of their revenue, I've yet to see a HUGE source of income from this site alone. A combination of these two platforms is ideal for anyone seeking to make an income from blogging as they continue to craft new outfit looks! I link a lot of the products you see on my site and Instagram using the rewardStyle links to make it easier for you to shop what I'm wearing/loving at the moment. When someone makes a purchase using my links, I will receive a portion of the total sale. A sale must be complete before I can make a full commission-based sale on the item! Another way to make money blogging is through sponsored posts. I will talk with a brand to find the right terms to work together on promoting new product launches. A few times that I've worked with brands include my latest campaign for Alba Botanica skincare. The brand wanted me to design photos to promote two new beauty products for the summertime! I already use Alba Botanica products in my regular routine, so this sponsored post fit nicely with my personal brand. I'm always looking for natural skincare to try out for my face and it seemed like the perfect match! The brand will usually send over contracts for me to sign and agree to online. The next steps are to focus on the deadlines for each type of post. For example, the Alba Botanica campaign required me to complete (1) Blog Post (2) Social Posts (1) Instagram Post and any extra posts. Once the campaign was completed, I am sent out a payment using www.bill.com and the money is transferred to my checking account. For this campaign specifically, I did a few things to make sure I followed the directions and create beautiful content to be approved by the team behind Alba Botanica. I worked with a local photographer, Alyson Hall, and we ventured out to the Don Ce Sar hotel to capture some images inside one of their bathrooms! I chose not to take photos in my own bathroom because there is not a lot of space to shoot in there and I was already planning on shooting outfit looks at the beach, so it worked out for the best. I shot the products in the bathroom and Alyson sent me the images within one week. Then I took the images and posted them on my blog to comply with the terms of the campaign before the deadline was up. I also shared images on my Twitter account and Instagram account shortly thereafter. If I were to go out and splurge on a Gucci bag, I would probably feel 100% GUILTY about spending so much moolah on ONE THING. Even if it's super darn cute and would make my commission sales increase. I've learned to ignore that little voice in my head that screams, "BUY THE PURSE!" as it's just not who I am as a person...as much as I want to put in time and effort creating beautiful content to earn a living as a fashion blogger, I want to do it in a natural way without losing who I am as a person. I just would never actually purchase a $2,000 bag unless I REALLY loved it and it was a timeless piece, as I do buy Coach bags and Tory Burch crossbody bags that I know will last me. Hopefully, you can see that finding your niche as a blogger can be a bit hazy. Yes, you want to roll in the big bucks, or even just a few bucks in the beginning, and be able to take trips with your family during the year while you continue to blog from your remote destination. While you start your blog, you must remember who you represent. What is your brand? What are your goals? Most of the time, you represent YOURSELF. People will gravitate to your Insta profile and read your blog when you post authentic things. It's a smart idea to write out goals for yourself and your blog. Figure out what you really want to share with the world and simply write out the awesome content or start posting pretty photos to your Instagram. I usually sit down every month and write out my goals on a calendar in my room. I have the calendar hanging right above my computer desk so I'm always looking up to it in order to stay focused on my goals for the upcoming days and weeks. Planning for the future while working on active campaigns can be tricky. I've found that a lot of sponsored campaigns are weeks away, so you need to stay organized with a calendar to plot out the days' new posts need to go live! You can always use your phone to plot out your day to day activities and reminders to post new content to your feed when you need to. Setting reminders on your phone is always safe alternatives to keeping a physical copy on a calendar, too. The power of having an Instagram Business account feature continues to impress me! Ever since I started to hone in on my Instagram strategy for growing an active audience online, I've discovered how important it is to look at my "impressions". These impressions tell you everything you would want to understand about the photos you post. You can see exactly what time you need to post a pic to receive the most feedback, or "likes" and "comments". Impressions are seriously efficient ways to figure out what works and what doesn't. The business account feature on Instagram can really give you an honest look at how your account is performing. Do you need to post photos at night to see more people clicking on it? Should you stick to posting on Tuesdays instead of Thursdays? Here is my Pinterest analytics, for example! Pay attention to your analytics in order to see the best results on growing an audience who can interact with you on your feed to create a wonderful balance of engaged followers. Something I didn't consider about blogging before I started uploading content is how lonely it can make you feel. I find myself curled up on the couch typing away on my laptop for hours on end. Some days I won't even leave my room because, by the time I finish working on content for the three jobs I have, I'm exhausted. I will order in take-out and just binge on Netflix. Yes, some days this is all I want to do after a long day of writing and posting photos, but I NEED to talk to people in person or else I'll go crazy, ha! If you want to blog, I highly suggest getting involved in activities outside of sitting on the computer. I'm working on balancing my computer time and social time throughout the week to ensure that I'm not totally consumed by creating content that I forget to spend time with friends and family. One major thing I am SO thankful for this year is participating in Gal Getaway events. So far, I've attended two awesome events put on by the lovely Kahlea Nicole. She lives in St. Pete and attends USF and simultaneously runs her own business bringing creative girls together to bond over all things social media related!! A photo of me and Kahlea from her Gal Getaway event last month at Station House in St. Pete! It's such a blessing to attend these events because I'm not just waking up and having an excuse to put on a cute outfit to blog about, but I am actively engaging in one-on-one conversations with some pretty rad ladies! I am excited to grow my blog in a way that involves these ladies as we forge new friendships and talk about the blogging process together. Lonely days are in the past. Join in on fun activities throughout your week to fill your time with some sunshine and interactions that take you away from the computer screen!! These honest and authentic friendships are one of the perks of blogging, too. I hope you find this post insightful and intriguing at the same time! I always love hearing other people's stories about why they started a blog and how they have turned it into a successful business venture in a matter of years. Blogging has offered me an awesome way to do something I love and feel great about every single day. 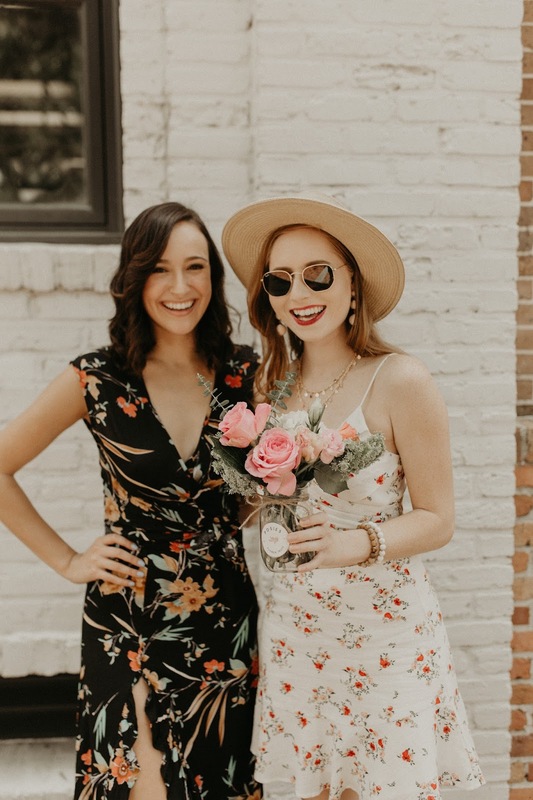 It's not just about fancy clothes and pretty photos -- it's also about growing and connecting with other individuals who experience the same love for offering their own fashion and lifestyle tips to make other women feel confident! I am so thankful for meeting other young women, such as Kahlea, who are also passionate about social media and helping other women become girl bosses in their own sense! Shop My Gal Meets Glam Collection Dress!